Each year the Kelseyville Pear Festival honors antique tractors and engines in several venues. 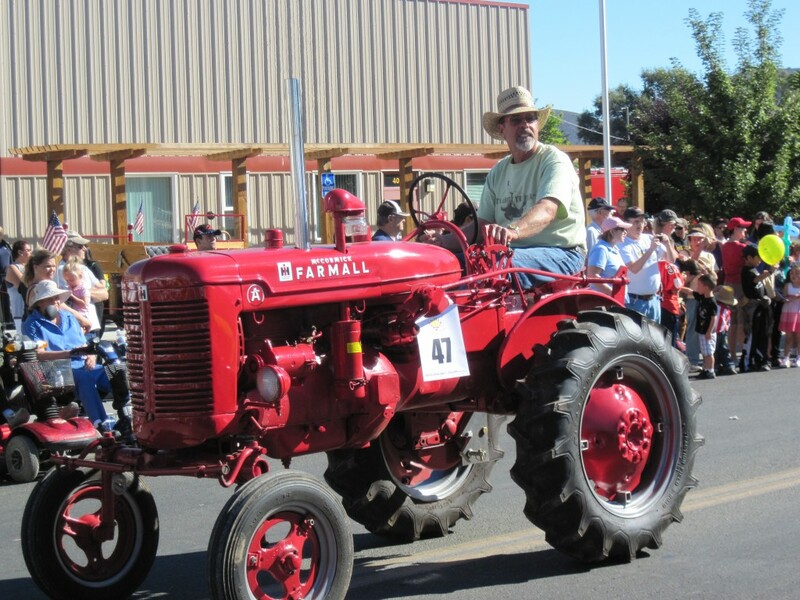 The kick-off parade features those pieces of equipment that are still running, either as workhorses on today’s working farms or for the pleasure of the hobbyist who garners interests in collecting, restoring, preserving and exhibiting equipment of historical value. The Antique Tractor and Unique Engine Exhibit on Main Street by the Kelsey Creek Bridge provides display of unique pieces that do all sorts of things and some that just do nothing. Here is a chance to see those engines that are either stationary by nature or those that cannot be driven on today’s “modern” roads. The Pear Pavilion, that big white tent in the middle of town, provides visitors with a collection of antique farm equipment. This year the Pear Pavilion welcomes docents of the newest museum in the county, the Ely Stage Stop and Country Museum (ESSCM), who will be available throughout the day to answer questions about their facilities on Soda Bay Road. The Vision for the ESSCM includes the restored stage stop featuring displays and museum information. Barns are being raised to house historical farming implements and equipment, as well as a working blacksmith shop. The intent is to save and display artifacts too large and numerous for the Historic Courthouse Museum and the Lower Lake Historic Schoolhouse Museum to handle. The Mission of the ESSCM is to provide tourists, educators, families and residents an insight into our fascinating past through its permanent and temporary exhibits. In keeping with the museum’s mission, the ESSCM welcomed a Science and Museum Camp put on by the Lake County Children’s Museum of Art and Science on May 12 of this year. During the camp, Greg Dills, Museum Chairman, gave a brief history lesson and demonstration of a rare piece of farm machinery to schoolchildren. One of the many showpieces for the museum will be a 1917 Fitch Four Wheel Drive Tractor. The Fitch tractor was invented by John H. Fitch of Mason County, Michigan in 1914. Mr. Fitch had been a millwright in the lumber industry in West Michigan and then turned his attention to fruit farming. He saw the new horseless vehicles getting stuck along the roads bordering his farm and began to think about a machine that would use all four wheels as drivers instead of just two while the others were helpless. Although there had been a few four-wheel drive tractors invented prior to his, “The Fitch” as he named the tractor, was the first to use gears instead of chains to transfer the power from the engine to the axles and wheels. As ESSCM barns are completed, artifacts currently stored throughout the county will come to the museum for display and demonstration. Complementing the antique tractors, engines, and artifacts, will be many antique wagons and a stagecoach. The ESSCM will continue to provide a dynamic unique display of our history. The museum is located at 9921 Soda Bay Road. Be sure to visit or revisit.